Herndon, VA – May 3, 2017 – pureIntegration, the solution integration experts that deliver extraordinary value, today announced that on the behalf of cable industry clients, they are working with Semtech Corporation (Nasdaq: SMTC), a leading supplier of analog and mixed-signal semiconductors, to develop a commercial integration of a LoRaWAN™-based solution on the RDK-B software platform. RDK-B is the cable industry’s Reference Design Kit, a software platform specifically for broadband services. The platform is used by several operators and is a core element for delivering services. As operators move to offer IoT and Smart City services, they are in need of integration to LPWAN solutions. LoRa Technology is a two-way wireless RF platform that provides unprecedented range, battery life, penetrability and connectivity to effectively enable LPWANs for IoT applications. LoRa-based LPWANs and compatible IoT products have been deployed by LoRa Alliance partners worldwide for next-generation agriculture monitoring, public safety, building and infrastructure management, smart cities, asset tracking, and more. 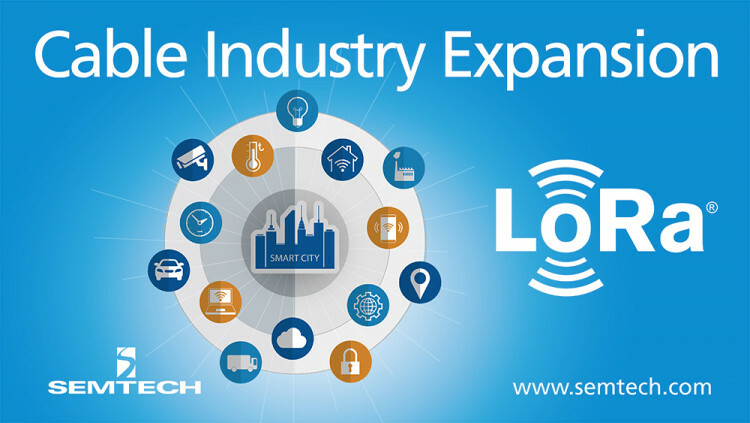 To learn more about how LoRa enables IoT, visit Semtech's LoRa/IoT site and then join the LoRa Community to access free training as well as an online industry catalog showcasing next-generation products. Semtech Corporation (Nasdaq: SMTC) is a leading supplier of analog and mixed-signal semiconductors for high-end consumer, enterprise computing, communications and industrial equipment. Products are designed to benefit the engineering community as well as the global community. The Company is dedicated to reducing the impact it, and its products, have on the environment. Internal green programs seek to reduce waste through material and manufacturing control, use of green technology and designing for resource reduction. Publicly traded since 1967, Semtech is listed on the Nasdaq Global Select Market under the symbol SMTC. For more information, visit www.semtech.com. pureIntegration is a systems integration company with a track record of achieving measurable business results. With our deep industry expertise, we give our customers a competitive edge with bold solutions to their critical business problems. pureIntegration’s differentiated approach strives to exceed service and delivery expectations through our proven methodologies, focus on innovation, partnership with client teams, and unmatched resources. For more information, visit www.pureintegration.com or call 703-707-9680. All statements contained herein that are not statements of historical fact, including statements that use the words “to develop,” “intended to,” “will,” “to deliver,” “to create,” “design to,” “strives to,” or other similar words or expressions, that describe Semtech Corporation’s or its management’s future plans, objectives or goals are “forward-looking statements” and are made pursuant to the Safe-Harbor provisions of the Private Securities Litigation Reform Act of 1995, as amended. Such forward-looking statements involve known and unknown risks, uncertainties and other factors that could cause the actual results of Semtech Corporation to be materially different from the historical results and/or from any future results or outcomes expressed or implied by such forward-looking statements. Such factors are further addressed in Semtech Corporation’s annual and quarterly reports, and in other documents or reports, filed with the Securities and Exchange Commission (www.sec.gov) including, without limitation, information under the captions “Management’s Discussion and Analysis of Financial Condition and Results of Operations” and “Risk Factors.” Semtech Corporation assumes no obligation to update any forward-looking statements in order to reflect events or circumstances that may arise after the date of this release, except as required by law. Semtech, the Semtech logo, LoRa, and LoRaWAN are registered trademarks or service marks, or trademarks or services marks, of Semtech Corporation or its affiliates.